We’ve fielded a bunch of questions from customers over the past few years, but we’re happy to finally announce our big news! It’s been a bumpy road to get where we are now, but we hope you can share in our excitement as we take on the renovation of this awesome old paper factory on Canal St. (less than a mile from SU campus and our current Westcott location). 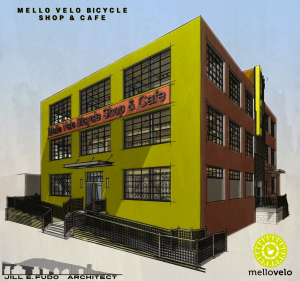 It is going to be awesome and we can’t wait for the opportunity to show you what Mello Velo is really about! The Post-Standard article explains the project pretty well — check it out. Be sure to stop by the Cafe before this Friday — the Cafe will be taking an extended Summer Holiday starting July 3, and re-opening sometime in the Fall. The Bike Shop will remain open in the cafe space (minus coffee and food). Stay tuned right here on our website, Facebook, and Instagram for updates!